Hollow House. Paranormal events are usually interesting for movie goers, for film directors and big productions that make exciting horror films. We enjoy entering a scary world of imagination. And when watching at home, very often we hide with pillows. Our hero of the day is a brave lady that has to fight bad spirits in a scary house. She will do her best to fight bad forces and spirits living in a scary house. Martha is a police woman who receives a call for help. She arrives on the given address, but at the sole moment she understands that that house is been abandoned and ruined. Martha starts hearing voices and gets the picture – she is dealing with something paranormal. She wants to hear the ghosts and to find the needed objects. They say women usually have the sixth sense, so in this game we will prove that. We offer you the perfect spooky story for the weekend. Enjoy the game! 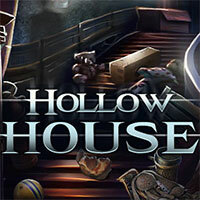 Hollow House is a free online hidden object game on Hidden4Fun.